Opening hours: weekdays from 10 am to 7 pm, Saturday – from 10 am to 6 pm, closed on Sunday. 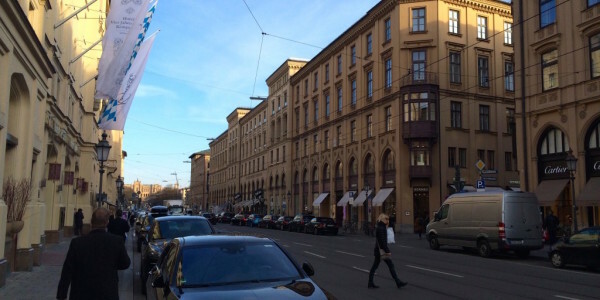 The shopping on Maximilianstrasse is more than just a casual walk from shop to shop. This somewhat snobbish street is a remarkable blend of exquisite architecture, culinary delights and shopping madness. 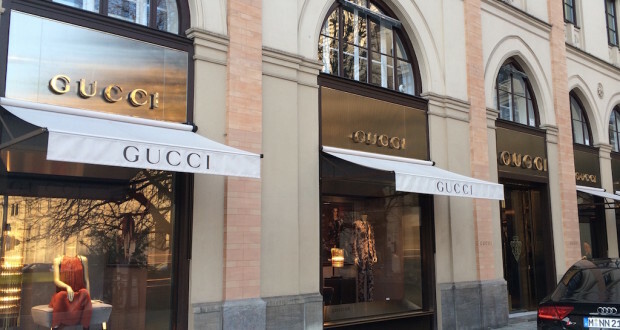 There are more than 70 luxury boutiques such as Dolce & Gabbana, Chanel, Versace, Louis Vuitton, Hugo Boss, Giorgio Armani, Gucci and others in this street. 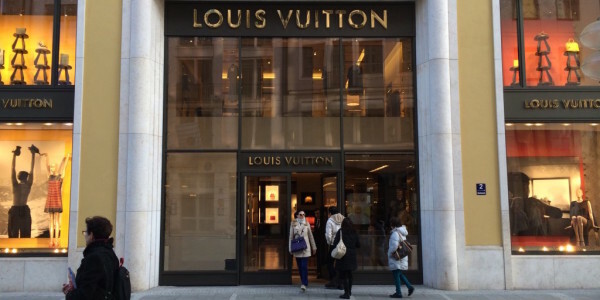 First time we went there, our goal was to go only to the Louis Vuitton store, yet we ended up walking the entire Maximilianstrasse street. We immediately understood why this street is considered to be the most expensive and exquisite in Munich. The Opera House, the five-star Kempinski Hotel, the lavish building of Bavarian Government – all these and many other architectural masterpieces are located here. Expensive cars are parked along the street giving it even more glitter. According to many, Maximilianstrasse resembles the famous Avenue Montaigne in Paris. 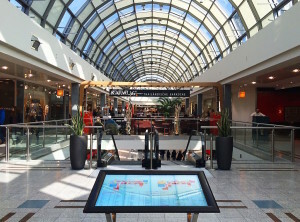 In the Maximillianstrasse designer boutiques, one can find the latest collections of fashionable brand-name clothing, shoes, accessories, handbags and more. There is the widest choice for every taste there. Service in the boutiques is top notch, the staff know their merchandise almost by heart and are able to give really good advice. The buyer usually feels very comfortable. Those who want to give a break to their credit card from the shopping spree can stop at the Brennergrill restaurant (Maximilianstrasse 15) offering Mediterranean cuisine. 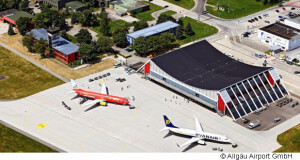 It is near the famous Four Seasons Hotel (Vier Jahreszeiten). It is a cozy restaurant; in the summer they set a lot of tables outside. In 2011, a high-end store for children opened at Maximilianstrasse 35. It offers a great selection of children’s clothes ranging from simple and convenient to extraordinary and even extravagant. They also have children’s furniture, strollers, toys, etc. It’s very cute and nicely decorated; in other words, it is a fashion boutique for children. I think if a person likes chic, quality and exclusive things, then the Maximilianstrasse boutiques are just perfect for shopping. Opening hours: from 10 am to 8 pm Monday to Saturday. 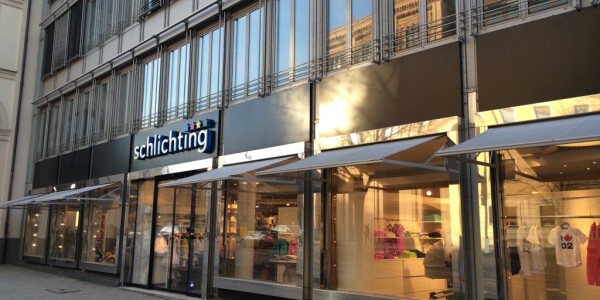 No matter what you are looking for, you can find everything you need in the stores on Neuhauser Strasse and Kaufingerstrasse. 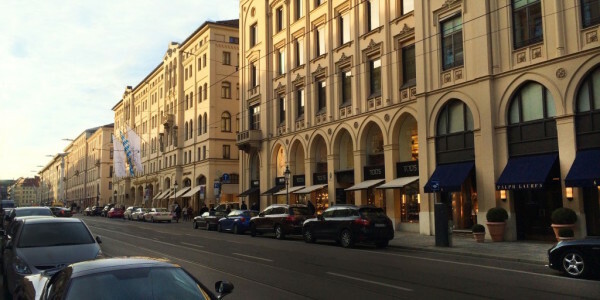 These two streets are the most popular shopping streets, not only in Munich but in all of Germany. They are located in the pedestrian zone in the center of the Old Town near Marienplatz. Crowds of people rush from store to store carrying enormous amounts of shopping bags, so it is easy to figure out that the prices are affordable. Here you can find multi-storey department stores, such as Kaufhof, and of course numerous fashion stores selling well-known brands such as H&M, Pimkie, Zero, Hallhuber, New Yorker, etc. As many as 4 branches of H&M stores are located on these two streets; interestingly, one of them offers clothing for men only. For those who are looking for shoes, we can recommend Tretter, Thomas Schuhe, Bartu and Salamander. In addition to the clothing stores, there is a large selection of electrical goods. First of all, Saturn (Neuhauser Strasse 39), where you can find almost all the latest models of electronics and home appliances for rather low prices. They also often offer great discounts. Many tourists also visit small souvenir shops. Here you can buy a lot of trinkets, of course, related to Bavaria and its capital. 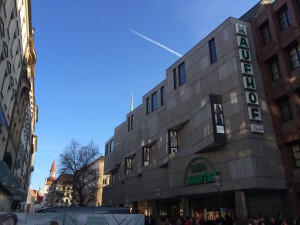 Fünf Höfe (Five Courtyards) is one of the most well-known shopping malls in Munich. It is located between Marienplatz and Odeonsplatz. Despite the fact that this mall is situated in the core of the Old Town, it is like a quiet island, where there is no stress and you can leisurely walk among the shops. There’s a good selection of specialty shops and fashion boutiques, such as Emporio Armani, Dolce & Gabbana and many other brand names. The prices here are more affordable than on Maximilianstrasse. In addition to boutiques, Five Courtyards is not bad with regard to restaurants and cafes (Vapiano, Kaimug, Comercial, Barista). In one of them, you can have a tasty snack, enjoy good wine or just relax with a cup of coffee. Good selection and affordable prices – all these you can get at the PEP shopping mall in Neuperlach. It is easily accessible by U-Bahn, just a 10 minutes ride from Odeonsplatz. The best time for shopping in PEP is weekdays. During business hours, you can avoid crowds of people browsing through the shops, which are located on three floors. You can have a snack or more substantial meal in one of numerous cafes and restaurants in the mall. Here you can find both discount shops and fashion boutiques. 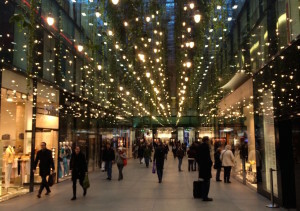 There is more or less usual array of retailers, such as H&M, C&A, New Yorker, Tretter, Zero, Gerry Weber, s.Oliver, Puma, which can be found in almost every Munich’s shopping mall. For the more demanding customers there are stores like Peek & Cloppenburg and WÖHRL. Both stores offer high-quality products for the whole family from famous brands like Armani, Boss, Calvin Klein, Lacoste, Marc O’Polo, etc. 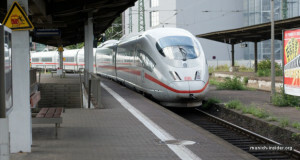 How to get there: U-bahn line U1 or U3, Olympia-Einkaufszentrum station Olympia-Einkaufszentrum (OEZ) is a large shopping center located next to the Olympic Park. 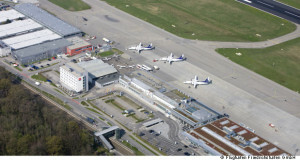 You can get there by U-Bahn, it is just 10 minutes from the main train station (Hauptbahnhof). You do not even have to go outside, because there is an entrance to the shopping mall directly from the U-Bahn, which is very convenient in bad weather. 135 stores await you in the OEZ. This mall is a little larger than PEP in Neuperlach and has a wider variety of shops. 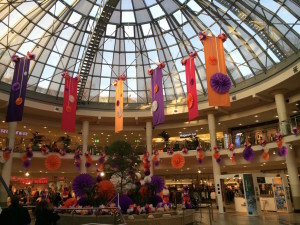 You can find here FOSSIL, Grain de Malice, Hallhuber, Thommy Hilfiger, as well as department stores – Karstadt and Kaufhof. Sometimes, Grain de Malice and Hallhuber offer up to 70% discounts. For those who want a tasty snack, we can suggest an excellent Japanese restaurant-bistro Tokyo, their sushi are really great! A conveyor with plates with sushi rotates in front of you, and you just choose whatever you like. All the food is very fresh and there is always a great selection of dishes. In addition to sushi, there are a variety of other fish dishes, delicious salads, as well as desserts – banana with honey, pudding, etc. Getting there: S-Bahn lines S3, S4, S6, S8 or S27 to the Pasing station. Or, buses 57, 65, 157, 160, 161, 162, 265 to stop Pasing Bahnhof. Or, tram no.19 to stop Pasing Arcaden. 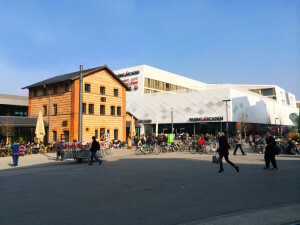 The Pasing Arcaden shopping mall opened in 2011. This mall impresses, first of all, by its huge retail area. 150 stores are located on three floors. If you can, it is better to go to the Arcaden in the morning or, at least, during the weekdays, because it is overcrowded and noisy in the evenings and on Saturdays. In Passing Arcaden, you can find a variety of clothing stores, electronics and household goods. It may not be worth coming here for those who are looking for unique stores or high-end designer boutiques, though there are a few brand-names here, such as Pierre Cardin and Marc O’Polo. 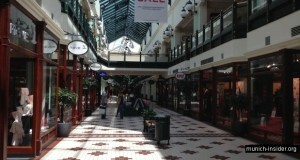 Most shops in this mall are of popular everyday brands: H&M, C&A, Vero Moda, Zara, Deichmann, etc. They always have a wide selection of inexpensive and high-quality clothing for the whole family. It is difficult to give any specific advice about snacking because of a large variety of places to eat in this mall. At every step in the Arcaden, there are snack bars, cafes and small restaurants, so everyone has to decide for themselves according to their own preferences. Last time we were there, we really liked Aran. They serve very good sandwiches and wonderful coffee. In good weather, you can sit outside on a large and beautiful veranda, which is unusual for shopping malls.